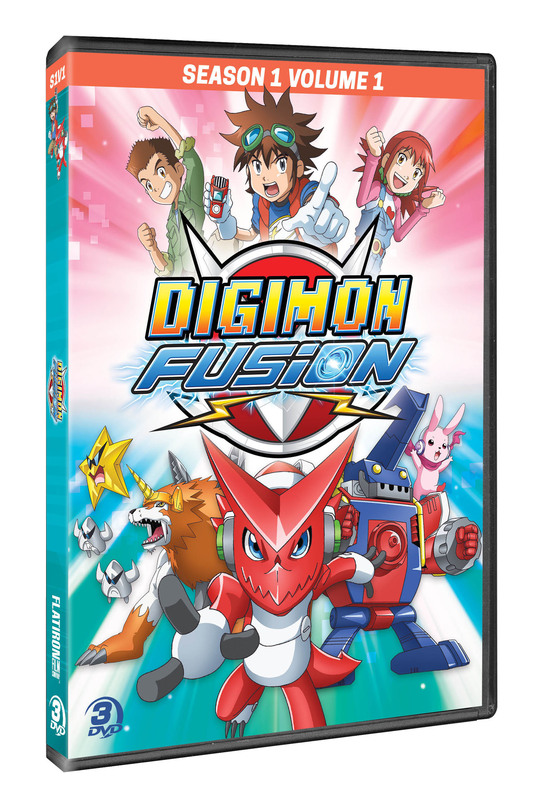 In DIGIMON FUSION SEASON 1 VOLUME 1, see the first 15 episodes of the series! There is another world beyond our own. A digital world where powerful creatures known as Digimon battle for supremacy. Seventh grader Mikey Kudo has dreams of leading his own Digimon army, and after he and his friends are transported into the digital world he might get that chance. But when he pairs up with Shoutmon, Mikey learns the digital world is not what it seems – it’s at risk by evil forces and needs to be saved. 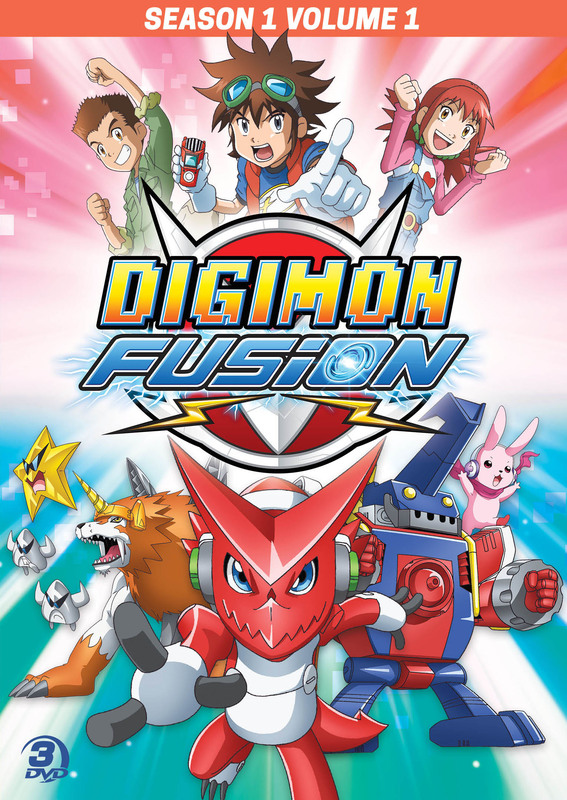 To defeat their enemies Mikey, his friends and their Digimon pals must set off on an epic adventure and unite as a team in ways the Digital Universe has never seen before.